It’s my final post of the year so a good time to say thank you for reading my blog. I’ve made many friends over the five years I’ve been blogging, some of whom I’ve become friends with in real life and some of whom I feel I’m friends with, even though we’ve only met on social media. Quite a big chunk of 2016 has been taken up with thinking about Andrew’s prostate cancer, before, during and after his surgery. The experience has brought us very close and made us evaluate what is and isn’t important in life. We were talking today about what it must be like to face serious illness alone, without friends or family, and we’re grateful to have each other and the support of our two fantastic children, and we’re lucky to have been shown so much care by our families and friends this year. There have been trials and tribulations for some of my extended family, as well, and I’ve had occasion to consider how strong and resilient they are, and how much I love them. I’ve made some resolutions which I won’t share with you right this minute although you’ll probably get to hear about one or two of them in future posts. Mostly I want to stop wasting time and get more stuff done! Robin Houghton has written a great post about stepping away from Facebook and I think she’s on the right track. Tonight, our kids our out at parties and Andrew and me are having a night in with Netflix and Jools Holland. Wishing you a happy, peaceful and loving New Year, wherever you are and however you’re celebrating or not celebrating. I hope you have a great new year. Thank you for your Blog and for creating, what sounds like, a wonderful regular gathering in Trowbridge and I am looking forward to getting there in the New Year. Thanks and best wishes to you, Janet! Right back at you! 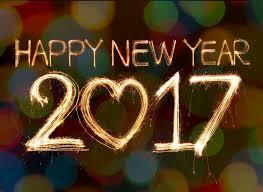 All the best for 2017! Happy New Year! Can’t wait to hear what you have planned.